The band has released 4 albums and have been added to many record compilations as well. Their renditions of some Hendrix classics have left their fans aw-struck! 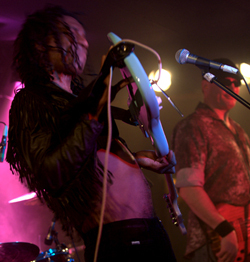 In 2011 the band continues to rock everywhere they go! 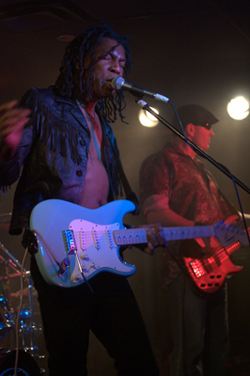 The Michigan Blues Society said…”Wild T is building a reputation as being the next premier guitarist to emerge from the Canadian music scene! 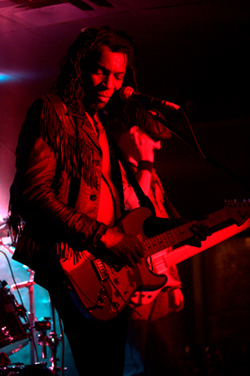 He has also played guitar with artist such as ‘Rough Trade’ & ‘David Bowie’. With ‘Rough Trade’ he would record new tracks for the 1985 compilation Birds of a Feather, and a national tour took place in 1986. With David Bowie, he performed on the album “Black Tie, White Noise” in 1994 and performed concerts and made talk show appearances all over the USA. David Bowie said…. “Tony is an absolute delight to work with. 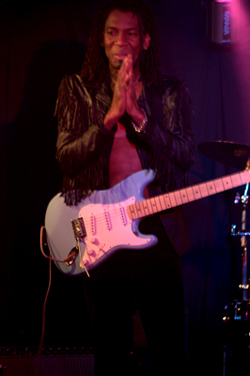 He has a lyric, lilting take on Hendrix!” Wild T endorses Mark Amplifiers; Dean Markely Strings & AI Audio pedals. 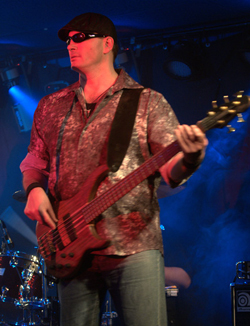 gGuenther is professional musician who has been playing the bass guitar for over 25 years. Currently based in Toronto, Guenther keeps himself busy with tours and concerts throughout North America & Europe, and is involved with many recording projects. He has gained solid reputation for his playing and professional work ethic. 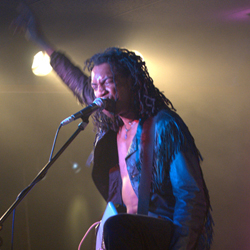 Guenther is a graduate of The Musicians Institute (BIT – 1989). As well as touring & recording with ‘Wild T & the Spirit`, Guenther has toured & recorded with Ritual Piston, Jimmy O & Code Blue, The Blazers, Jason Buie and Todd Wolfe (Sheryl Crow) throughout the North America & Europe. Guenther is also part of the teaching faculty at The Metalworks Institute in Mississauga, ON. Guenther endorses Dean Markley strings. 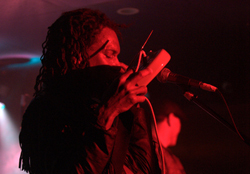 daleDale is a veteran drummer of the Toronto music scene. Originally from Ottawa, ON, Dale is a graduate of Humber College (1990) with a long list of touring, recording & teaching credits. As well as drumming with `Wild T & the Spirit, Dale also tours & records with The Headstones (5 albums), Derek Miller (2 albums, 2 x Juno winner) and Alannah Miles throughout North America & Europe. He has also performed with Derek St. James (Ted Nugent), Phil X (Triumph, Bon Jovi), Teenage Head, Edwin & The Pressure, and The Kings. Dale endorses Yamaha Drums, Sabian Cymbals, Regal Tips & McClaren Cool Claws.